Dream King has been posting Injustice: Gods Among Us combos since the game was released. Now comes a quick guide for Catwoman. Catwoman players, rejoice. 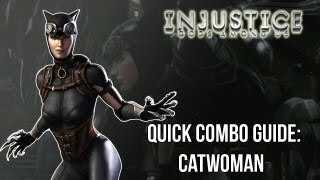 Dream King has posted a quick Injustice: Gods Among Us combo guide for this ferocious kitty. For the combo inputs, click here.